Dental veneers are individually sculpted for each patient, it is nearly impossible to tell the difference between a veneer and a natural tooth. Dental veneers can be designed to match your natural adjacent teeth or can be used to improve the aesthetics of your smile. Dental veneers are made from a high-quality dental porcelain that reflects light like natural teeth. The semi-translucent apperance helps veneers blend with your smile for natural results. 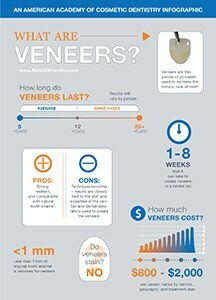 Veneers are long lasting, beautiful, and create a smile patients feel proud to share. 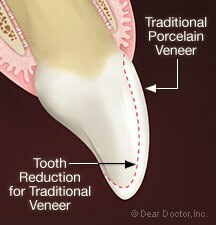 The veneer procedure can typically be completed in just a few visits to your local AACD dentist. AACD dentists are highly trained in providing stunning results using dental veneers. In most cases, no one will even know that you have veneers on your teeth. Dental veers are a cosmetic dental treatment that can help you achieve that ” Hollywood Smile” you want. With veneers—as opposed to crowns—your natural teeth remain largely intact with only a minimal amount being altered to fit the veneer. 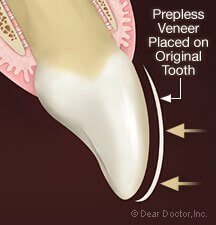 Dental veneers require up to a millimeter of tooth enamel to be removed to make room for the shell-like veneer. Removing less tooth structure, dental veneers help to support the stability of your natural teeth and bite. A dental crown fits over your natural tooth covering all sides of the tooth. Dental veneers fit over the front and sides of the tooth covering any visible blemishes. 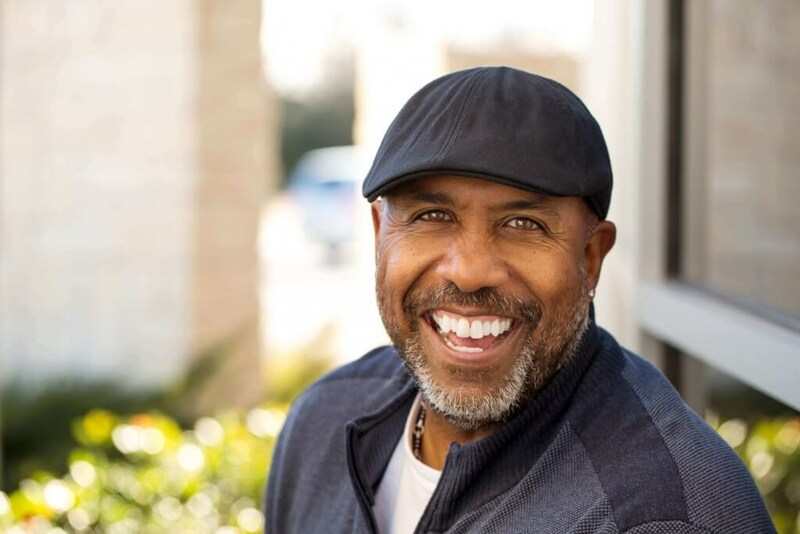 Dental veneers are as highly durable and lasting as dental crowns, making them a viable option for patients looking to improve the aesthetics of their smile. For many patients, dental veneers can be used to address minor cracks, chips or brakes. Dentists may also recommend veneers to quickly fix minor twists, overlaps, and small gaps between teeth. For teeth that resist whitening, or that are discolored due to trauma or certain medications dental veneers can do what traditional teeth whitening can not. Dental veneers can make even the darkest teeth appear bright white. Patients with whiter, brighter smiles tend to smile more often and feel more confident.